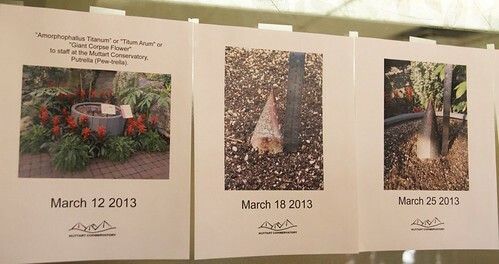 We went to Muttart conservatory to see an morphophallus titanum on Apr 23th. Entrance fee was $12. No student price. My hubby heard the news first on Sat, and then we found out it was already blooming on Monday. The facility’s opening hours were extended on Monday and a lot of people were talking about it. So we gotta see it! I had a yoga class on Monday night, so we decided to go there on Tuesday morning. 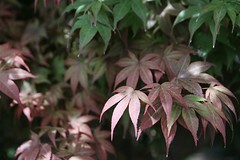 It has a really short time of blooming. By Tuesday, the petals were already starting to close. The smell was supposed to be very bad and we wanted to try smelling it but by that time, the smell was gone. Too bad! But still it was really interesting to see this flower. The waiting time was about 15 minutes. It was 2 hour wait on Monday night, we heard! 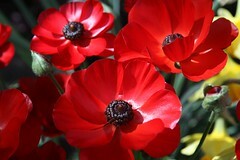 The flower only blooms once in 2 years and originated in Sumatra, Indonesia. 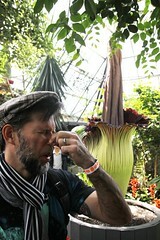 It’s one of the biggest flowers in the world and it stinks a lot! Not only that, but it grows so quickly! As seen below, it was planted on March 12, this year. And then it started growing like a bamboo, and then kept growing so fast. Flowers are normally supposed to smell nice, aren’t they? This plant chose not to and decided to smell like a corpse… Why? 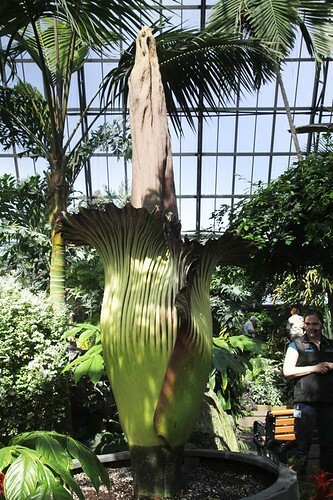 This flower is called a corpse flower. 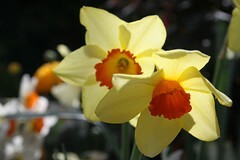 The smell attracts bugs for them to carry the pollen. 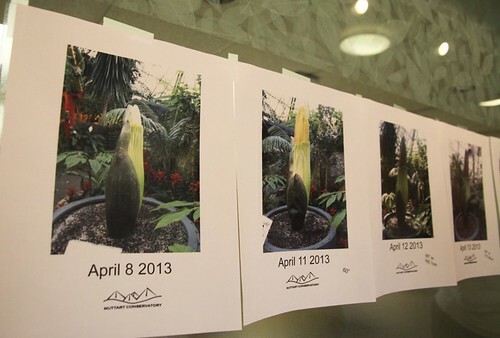 We at first thought it’s called a corpse flower, because it can contain a dead human body. A lady at the reception was describing this smell as a dirty diaper smell. This flower has a male and a female day. This day was male, we were told. 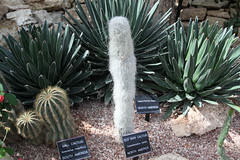 It has an area to produce pollen and also an area for receiving pollen. But it can not self-produce, so it needs bugs to do the job. We saw other nice flowers and plants. It was a really nice refreshing day.